Better late than never, it is time to get some of the reviews done that our webzine missed during the past year. One of these is the sophomore album by the fairly new American band Uada. Not until I listened to the title track off “Cult of a Dying Sun” had I heard of this four-piece from Portland, OR but I was instantly hooked, and based on this one track I immediately knew I had to spin the entire album once it was released. Sadly, I never actually got around to doing this, which is a shame, because as a spoiler, I can already tell you that it will end up on my end-of-the-year list. 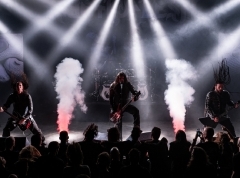 What we’re dealing with is a melodic black metal piece with plenty of atmospheric and progressive elements, but which never sways too far away from the black metal core that is present throughout the entire album. In the vein of both the Polish Mgła and the Swedish Dissection, Uada express themselves with catchy hooks and interesting melodies that will keep the listener bound by virtue of sheer intensity and clever song-writing. Starting things off with “The Purging Fire”, the blastbeats pound the ears intensely right from the first note. This barrage then transforms into a melodic segment coupled with screamed, almost strained vocals, which fit the extreme soundscape perfectly. The underlying main riff is used in a very subtle manner, giving a somewhat calm expression to the otherwise extreme nature of the song. The track itself progresses and evolve throughout its entire 6-minute runtime and never loses pace. The melody is ever-present, just like the dual guitars make a lasting and interesting impression on the listener. 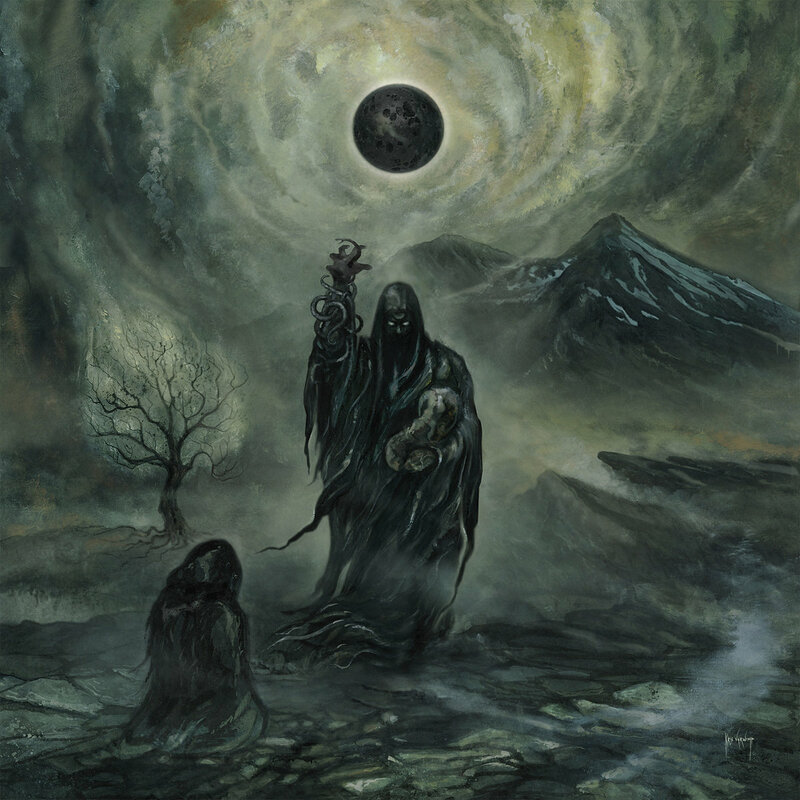 The general composition and structure of “Cult of a Dying Sun” has this distinctly melancholy vibe to it; as though the album were written as the soundtrack to a massive autumn storm, or as the classic Norwegian black metal albums: mirroring darkness and barren, icy landscapes. This is also seen on the second track “Snakes & Vultures”. The vocals have a constant gloomy feel to them, and when this is coupled with the aforementioned melancholy guitar sound, which, at times, even sounds sad and depressed, one can really feel the songs as well as hear them; they’re both pounding, thanks to the bass and drums, and also have plenty of melodies in them to make the soundscape complete. In fact, you actually seem to be able to hear that the songs are about themes such as nature and paganism simply by listening to the composition and tone of the music. The songs develop due to their great lengths, the shortest track clocking in at 05:38, so every single one of them has the potential to progress and unfold into an intense, yet progressive black metal colossus. As heard on the title track, which is arguably the best piece on offer here, the vocals evolve from classic black metal shrieks, through deep growls, to quite decipherable yells and eventually also into harsh growls. This is mixed with an instantly recognizable guitar riff which twists and turns until we reach the 5-minute mark, where the pace is slowed down into an almost doom metallic tempo, only to explode once again into a storm of traditional black metal. If one can ever use the word beautiful about black metal, this is probably as close as an album from the genre will come to embodying it, because just as haunting and malicious as some of the vocals and riffs sound, as beautiful are many of the melodic passages present on the album. Just to make an example: I’d never heard blastbeats deployed on top of a beautiful piano piece until I heard “Sphere (Imprisonment)” — simply superb! Every aspect of black metal is gone when the instrumental song “Wanderer” arrives around halfway through the album, which provides some much-needed resting time, given that Uada’s music is so demanding. After this small breather, however, the intense barrage continues with “Blood Sand Ash”, again leaving very little room in which to catch your breath. Without going into too much detail with every single song here, I think I’ve made most of my points clear by now. This album is fantastic, and then some. The songwriting ability, the knack for creating evocative melodies, and the overall compositional sill Uada possess is mesmerising. So many small details in every song ensure that the listener never loses interest — there’s simply so much going on. Even the cover is worth addressing, which I normally don’t; the artwork for “Cut of a Dying Sun” is amongst the best I’ve seen this year, which just makes the album seem so much better. It really underlines the wealth of detail that also characterises it musically. Since Uada means haunted in Latin, I can say without a doubt that the band’s melodic way of expressing their black metal influence is something quite special and very much in keeping with their moniker, and I urge every fan of any style of black metal to check this band out. You won’t regret it the slightest, and it could very well turn out to be a modern classic you’re listening to!